On March 27, 1913 farmers from throughout the county met at the courthouse in Carthage, IL to form the Soil Improvement Association. On February 28, 1918, the name was changed to Hancock County Farm Bureau. Though much has changed throughout our organization over the past 100 years, one thing remains the same - we continue to serve the needs of the farmers and residents in Hancock County. Since 1913, we have evolved into a powerful and respected voice that continues to advocate for agriculture, represent our farmers in Springfield, IL and Washington, D.C., provide leadership opportunities for members of all ages, and teach our youth about where our food comes from. "To improve the economic well-being of agriculture and enrich the quality of farm family life." Click HERE to view our latest commercial, featuring board member, Bryan Stevens, and his family! Mark your calendars! Our 4th annual Farm to Table Dinner is scheduled for June 22, 2019! 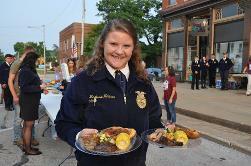 The Farm to Table Dinner is a fundraiser for the Hancock County Farm Bureau Foundation. Proceeds from the event are used to help fund our college scholarship program and the Hancock County Ag Literacy program. 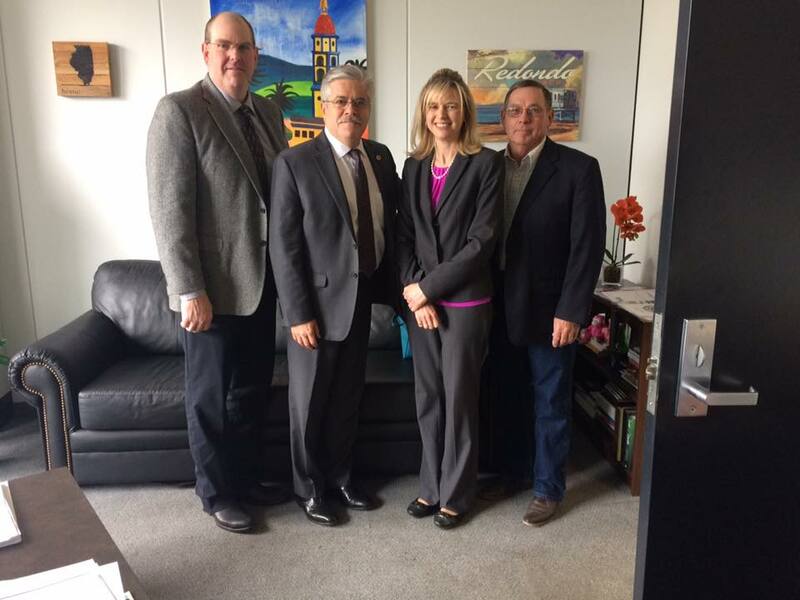 Hancock County Farm Bureau participates in the Illinois Farm Bureau Adopt-A-Legislator Program. Farmers from Hancock County meet with Representative Fred Crespo, from Streamwood, IL, on a regular basis to help him understand how the decisions he makes in Springfield will impact farmers throughout Illinois. Our Hancock County Farm Bureau Women's Committee focuses on education, health and safety projects throughout the year. One of our favorites is during Farm Safety Week, when volunteers gather to prepare and distribute healthy snacks to grain elevators throughout the county. These snacks remind our farmers to stay safe and healthy during harvest.